Scientists at the University of Liverpool have used mathematical modelling to identify why the 2007 UK outbreak of bluetongue—a viral disease spread by midge bites that affects sheep and cattle—was smaller than it could have been and to predict the future impact of the disease in northern Europe as the climate warms. Bluetongue is believed to have entered the UK in southeast England, an area with relatively low farm density, meaning that opportunities for infected midges to spread between farms were fewer than they might have been elsewhere. "Had the virus entered the UK in the west of England then the outbreak would probably have been much larger," says study author Dr. Joanne Turner from the Institute of Infection and Global Health. While the 2006 heatwave across Europe is thought to have played a significant role in boosting bluetongue transmission, by the time it reached the UK the following year summer temperatures were actually below average. "The UK outbreak would have been larger had the virus been introduced in a warmer year, something that is likely to occur more frequently in the future due to climate change," adds Dr. Turner. 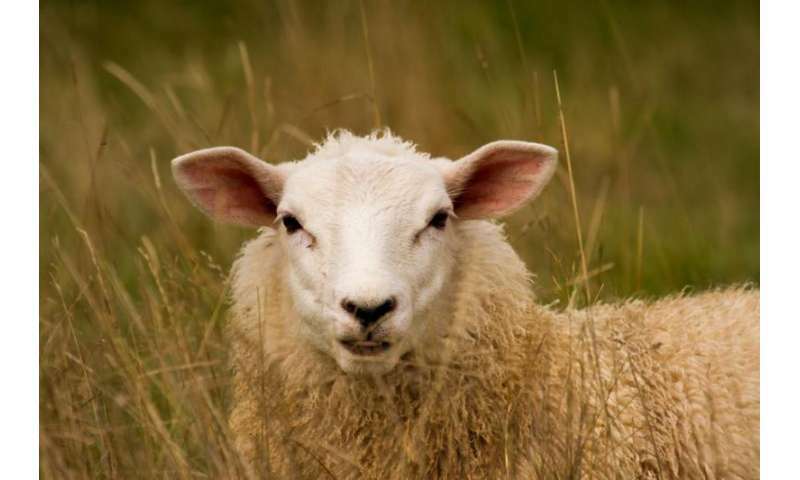 The final piece of luck was the presence of animal movement restrictions that were already in place for the 2007 UK foot and mouth disease outbreak, which the researchers say almost certainly helped to contain the bluetongue outbreak. "Had any of these three circumstances been different it could have been a much bleaker story and it's easy to imagine that in future the UK may not be so lucky," says Dr. Turner. A separate paper published in Nature Climate Change explores the risk of bluetongue transmission under future climates. The study predicts that by 2100, the disease risk will extend further north, the transmission season will last up to three months longer and outbreaks will be larger. "A 1 in 20-year outbreak at present-day temperatures becomes typical by the 2070s under the highest greenhouse gas emission scenario," warns study author Dr. Anne Jones from the Department of Mathematical Sciences. "Bluetongue emerged in northern Europe in response to climate change, and has already affected tens of thousands of farms at a huge financial cost and caused the deaths of millions of animals. Our results suggest that efficient detection and control measures to limit the spread of bluetongue and similar newly emerging vector-borne diseases will be increasingly vital in a future, warmer world," concludes Dr. Jones.